The gym is like mayonnaise: You either love it, or you hate it. If you lean toward the latter, NBD—there are plenty of ways to exercise without ever stepping foot in a gym. These 10 tools, apps, and services are tried and tested. Some are new; some not so much. What matters is that they inspire, instruct, or assist you to work out at home on your own time, keeping you moving and motivated. If you like indoor cycling but can't commit to a crazy schedule of classes, Peloton has the answer. It's like going to your favorite studio class—without ever leaving home. The Peloton app has live-stream and on-demand classes, plus yoga, strength, and stretching workouts to round out your routine. If you really want to step it up, you can invest in the Peloton bike. Our testers raved about the high-quality classes and accessibility. The best part: They didn't have to sacrifice time with their families or at the office just to fit in their favorite, effective workout. Cost: New users can get a free 14-day trial of the app. After that, it's $12.99 for unlimited live and on-demand classes. Bike owners get the app for free, but pay $39 per month to activate classes on the bike. The bike retails for $1,995. Good for: Cardio and spin enthusiasts, cyclists, busy parents. Physique 57 is a barre studio that started in New York City and then expanded to places such as Dubai and the Hamptons. But you don't have to live near a studio to try one of its popular classes. Its streaming service offers a variety of videos that range from 10 minutes to an hour. It also has a DIY mash-up feature, which lets you combine individual videos to personalize your workout. For example, you can pair a short arms video with an abs and legs one for a total-body workout. Our testers loved the diversity of classes, especially in terms of time commitment, body part, and skill level. Cost: Your first week's free. A monthly subscription is $30 per month with a three-month commitment or $57 per month with no commitment. Good for: Barre addicts, low-impact lovers, cross-trainers, and anyone who's time crunched. If you love the structure of a studio class but don't love the cost, check out Aaptiv, an app that features on-demand fitness classes via audio cues. Each "class" combines the guidance of a trainer with an awesome playlist to keep your workouts focused and fresh. There are a variety of classes to choose from, including treadmill, elliptical, indoor cycling, yoga, and strength training, as well as 5K, 10K, half- and full-marathon training programs. Our testers especially loved the outdoor running classes. 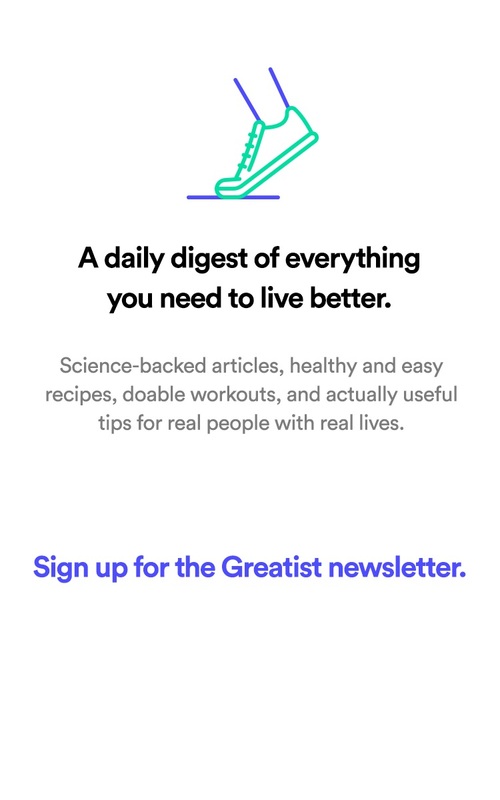 Cost: Greatist readers get their first 30 days free when they use code GREATIST. It's $4.16 to $9.99 per month after that. Good for: Runners, studio regulars, yogis, and music lovers. This is the Netflix of fitness. Sign in and you're met with an easy-to-navigate platform of individual videos, multiday series focused on a specific goal, and multiweek challenges that help you stay motivated. As an added bonus, you get access to a huge library of cooking videos and recipes. The platform allows you to engage with the community and instructors, and track your progress. Our testers enjoyed the quality and variety of classes (check out some sample ones here), especially the yoga videos. Get ready to Grokker and chill. Cost: Get your first two weeks free, then pay $14.99 per month. For a limited time, Greatist readers get 40 percent off Grokker premium (that's $9 per month). Good for: Everyone, especially yogis. Cycling is a great low-impact workout, but on days when the weather doesn't cooperate, set up the indoor trainer and get riding with Zwift. Zwift transforms snooze-fest trainer sessions by transporting you to a digital destination with a variety of routes to choose from. The program can connect to Bluetooth-enabled indoor trainers to adjust the resistance on the bike to match the geography you see on the screen. Translation: If you see a hill approaching, you'll feel the challenge of the climb under you. You can ride solo, train for specific metrics, join a group ride, or connect socially with your cycling pals in other areas. Testers agreed that this really is the next best thing to a "real" ride. Cost: Try a free seven-day trial before committing. After that, it's just $10 per month. Good for: Cyclists, triathletes, cross-trainers, and low-impact fans. Sure, these black and yellow straps look a little confusing, but a TRX suspension trainer is an easy way to turn even the tiniest space into a home gym. The Duo Trainer gives you the same exercise options as the original, plus the ability to reach new levels of strength, mobility, endurance, and flexibility, thanks to the new two-point anchor system. It opens the door to new exercises such as pull-ups and dips, and still has the same great features of the original—straight handles, mobile grips, foot cradles, and different strap lengths for different heights. For some workout ideas, check out our library of TRX exercises (just attach both anchors to one point or split for more options) or find out how to use TRX in your yoga routine. Good for: Everyone, especially if you love bodyweight workouts. Get past the lame name (duh, everybody has a beach body! ), and you'll find a solid fitness and nutrition platform. BOD houses many well-known fitness programs such T25, P90X, and Insanity with celebrity trainers such as Shaun T, Tony Horton, and Autumn Calabrese. With the latest update of the BOD app, users can access real-time data, including heart rate for zone-targeting. Our testers loved having a "coach" push them at home (especially the 21-Day Fix) and the fact they could take their workouts anywhere—smart TV, laptop, iPhone, iPad. Cost: $99.95 (up front) for a one-year, all-access package featuring past programs and new programs released in 2017. Customers can still opt for the traditional price of $38.87 per quarter. Intimidated by a Pilates studio and those scary-looking reformers? Totally get it. Cassey Ho can help. The creator of Blogilates, a blog and record-setting fitness channel on YouTube, made classical Pilates more fun by fusing pop music with her routines—and then built an entire empire around it. 24 Hour Fitness even offers her POP Pilates classes in their gyms. But the best part is you can reap most of the benefits for free. Ho puts out a ton of free content across her platforms. Our testers loved squeezing in a Pilates video once or twice a week to complement their routine and focus on core strength. Cost: Content and videos on the blog and YouTube are free. The app (available for iOs and Android) is free to download but includes some in-app purchases. Good for: People who love Pilates, cross-training. For days when you just need to fit in a hard and quick workout, check out Johnson & Johnson's 7-Minute Workout app. Based on this research-backed 7-minute workout, the app features 72 high-intensity bodyweight exercises and 22 additional workouts that can be customized and altered to create more than 1,000 variations. The Smart Workout feature gauges your fitness and motivation levels, and recommends different workout programs along with intensity increases. Our testers loved its clean, straightforward, user-friendly design. Good for: This one is high-intensity so it's best for intermediate to advanced exercisers, especially people with limited time or no access to a gym full of equipment. Runners in over 250 countries have logged over 2.5 billion miles on the Nike+ Run Club app. 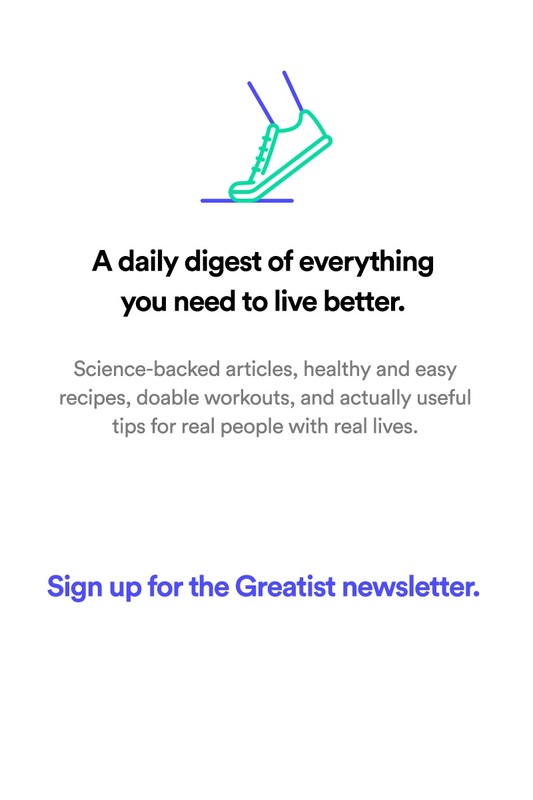 And it just got even better: The recently redesigned and updated app now features adaptive coaching programs such as Get Started, Get More Fit, and Get Race Ready, as well as custom-curated playlists and social photo-sharing capabilities to help you run farther and faster than ever. You can also easily join and check into any of Nike's 250 weekly live sessions led by NRC Head Coaches and Nike Pacers, right within the app, giving you access to a greater running community in your location. Testers loved the flexibility to track one-off runs or follow a more structured plan. Good for: Beginner to experienced runners, especially the metrically motivated.